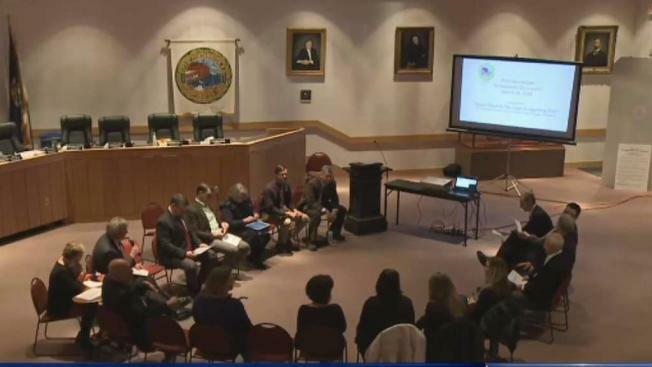 Some residents have raised concerns about the quality of the drinking water in Portsmouth, NH. When Andrea Amico found out that her seven-year-old daughter, who had attended day care at the former Pease Airforce Base, had high levels of potentially harmful chemicals in her body, she got to work. She founded an activist group called "Testing for Pease," which is now fighting for filters in Portsmouth, New Hampshire's water system. The chemicals found in the city's water at Pease are called polyuoroalkyl substances (PFAS). An annual water report for Portsmouth completed in 2016 says that exposure to PFAS over certain levels may result in adverse health effects, including developmental effects to fetuses during pregnancy, low birth weight, accelerated puberty, and cancer. The chemicals can remain in the body for 7 to 9 years. The USEPA health advisory warns of potential health problems when the chemicals are concentrated at 70 parts per trillion. The Haven well was found to have 200 parts per trillion. It was shut down in May 2014. "My children were exposed in their very early life, and I wonder how this is going to affect them as they continue to grow and develop," Amico said. Amico said lower levels of the PFAS were found in the remaining two wells. City Councilor Rebecca Perkins confirmed 20 parts per trillion, keeping it under the federal government's advisory level. The city's water serves Portsmouth's schools. "There's research to show that even low levels of these chemicals can be associated with adverse health affects," said Amico. Amico has filtered and bottled water in her home. "I can control the water my kids are drinking at home," said Amico. "I can't necessarily control what they're drinking at school." At Monday's Portsmouth city council meeting, Amico asked council members to install water filters in the city school's water. "We need to identify what's really going to fix it for the long term and we need to make that infrastructure investment," Perkins said. In the city council meeting, Brian Goetz, Deputy Director of Public Works, said that the city is currently testing filter systems. Amico said that the mayor recommended that she take their request to the school board. In a statement, Portsmouth Superintendent Stephen Zadravec said: "We follow the recommendations of the city's Water Division when it comes to the water coming into our schools. The link below would take you to the information on the water and all testing results. As you will see, all tests done are well below the established advisory level in the parts per trillion. At this point there is no recommendation to install filters." However, a compromise appears on the horizon. "Everybody's in agreement that that action that needs to happen," Perkins said. "I think we're all just trying to figure out when and what method is best." Amico said she's hopeful, but the long term health of her family is her top priority. "I don't ever think I'm going to stop worrying about how this could impact them."